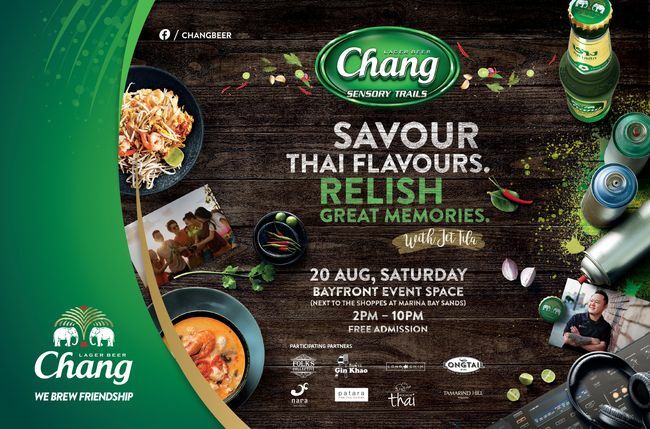 Thailand’s iconic beer brand, Chang presents the inaugural launch of Chang Sensory Trails – a multi-sensorial playground to create new memories around Thai iconic flavours. Partnering with Singapore’s finest Thai restaurants, celebrity chef and Thai Culinary Ambassador Jet Tila curated a unique menu based on his personal memories. Come join us to relish new memorable moments together with friends and with Chang.